Over 35 years of circus! There’s always something exciting happening with Wonderbolt! See what we’ve been working on lately. The SPACE is a multi-function venue, perfect for special events, workshops, parties of all kinds, and Home to IFLY Aerial Arts and LB Yoga. A professional aerial school run by Anahareo Doelle. We offer aerial classes to people of all ages in a fun and safe environment.  The St. John’s International Circus Festival (hosted by the Wonderbolt Circus) premiered September 27th - 30th, 2018, bringing high level circus to Atlantic Canada. Working in partnership with schools, community groups and the Aboriginal communities in NL we have created positive, focused, gender inclusive physical arts programs.